Station operated in cooperation with Water District No.1. 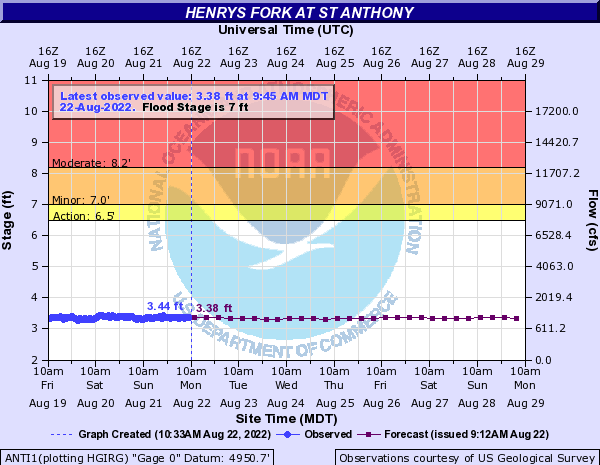 Realtime Gage Height data is provided by U.S. Bureau of Reclamation (USBR) telemetry . This station managed by the Idaho Falls Field Office.